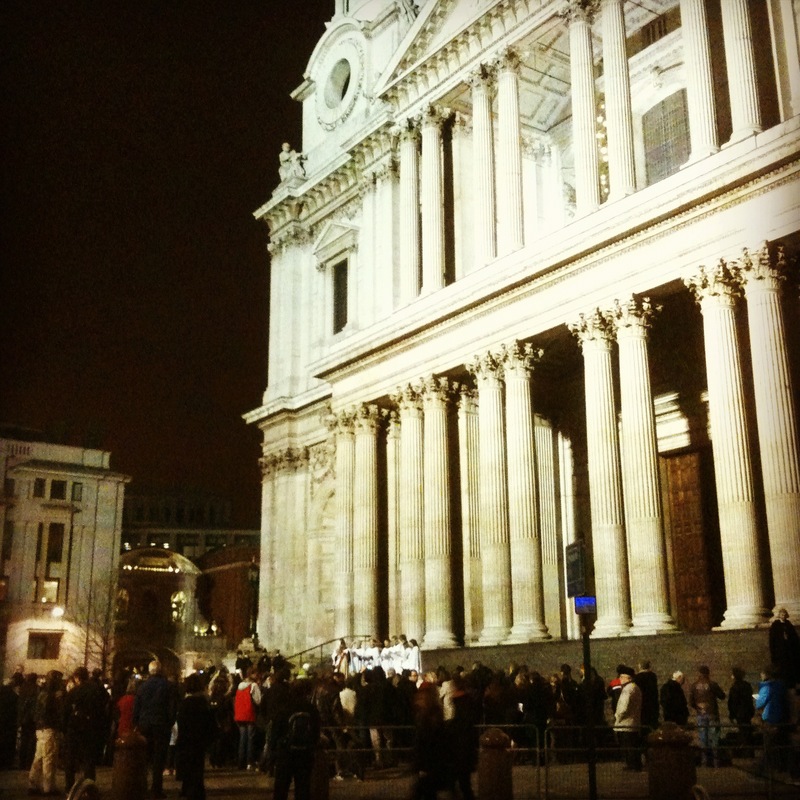 A lingering regret I had from last year was missing out on the carol services at St. Paul’s. What better way to celebrate the season than with celebrating with carols in one of the most beautiful churches I have ever seen? This year we made sure to go, even though the Northern line has been on the fritz all week, making the journey to Bank a bit longer than usual. Unfortunately someone pulled the fire alarm and the service came to a quick end when we all had to evacuate the church! What luck! But keeping in the Christmas spirit, the choir sang on. They continued the service on the steps of St. Paul. Truly magical and warm fuzzies all around. If you have the chance to go next year, go. Bonus? You get to walk around the church before the service starts. The services are free and not ticketed so it’s suggested you arrive early, an hour or so. 30 Dec	This entry was published on 30/12/2011 at 11:05 AM. 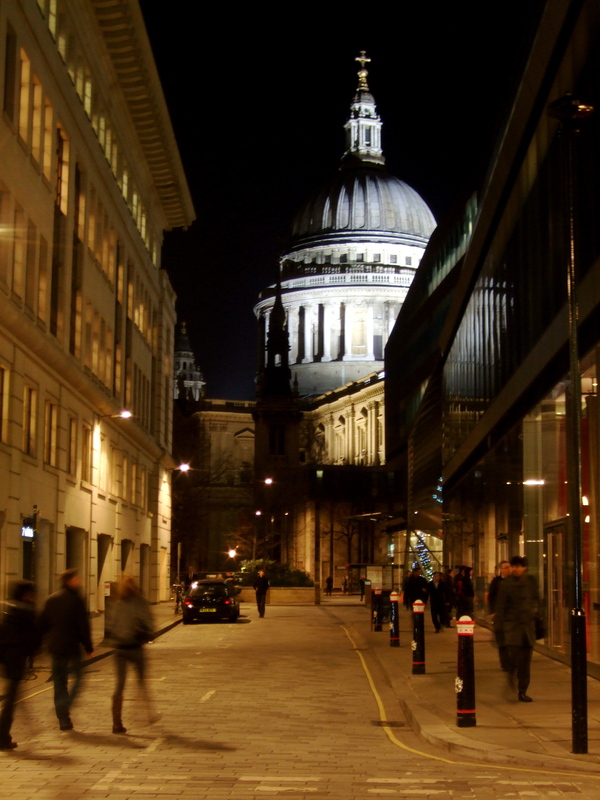 It’s filed under London and tagged architecture, christmas, churches, history, London, St. Paul's. Bookmark the permalink. Follow any comments here with the RSS feed for this post. We were SO close to going but just couldn’t be arsed to make it in time for the line-up. I hear the queue was around the building! We just walked in. I think it wasn’t busy because it was after Christmas, the 27th. Something to keep in mind if you go next year! we did try later – around 4:45 but weren’t able to get in. Bugger. We got there a bit before then. Guess we got lucky. Oooh! Fun! I have to answer some questions, right? I’ve seen it around but I don’t remember what it entails. I’m not sure if I’ve ever been to a carol service before! Maybe when I was a child. I want to go to Evensong again one day, maybe at Southwark Cathedral. This sounds really lovely, but what a jerk for someone to prank the fire alarm!